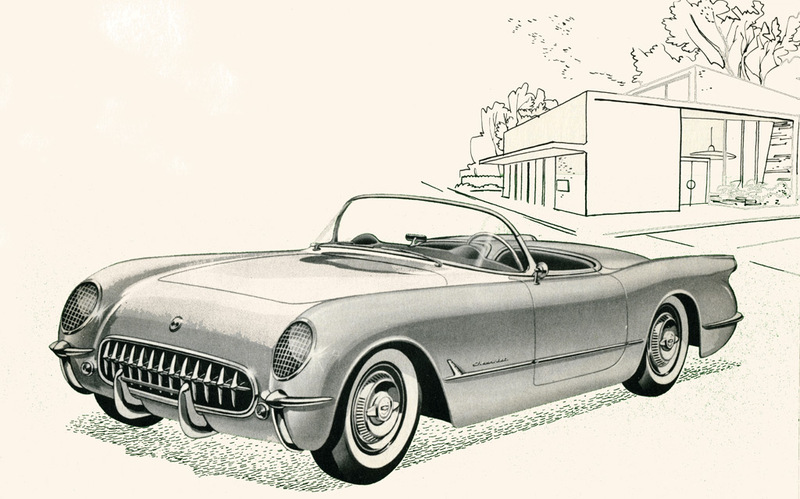 1954 was a very rough year for the Chevrolet Corvette. 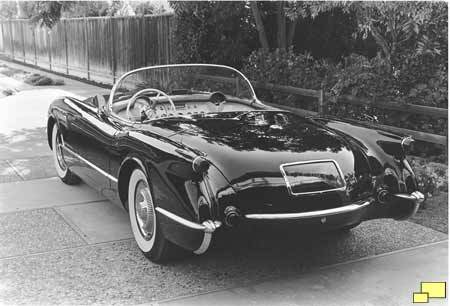 The biggest problem was that the latest GM sports car suffered from an identity crisis that could not be solved on any psychiatrist's couch. 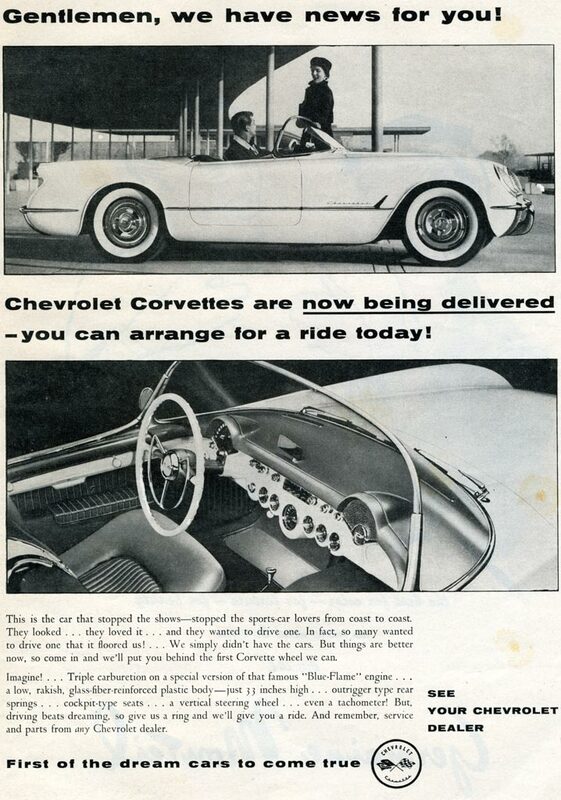 The Corvette featured removable plastic side curtains for windows and a two speed automatic transmission. 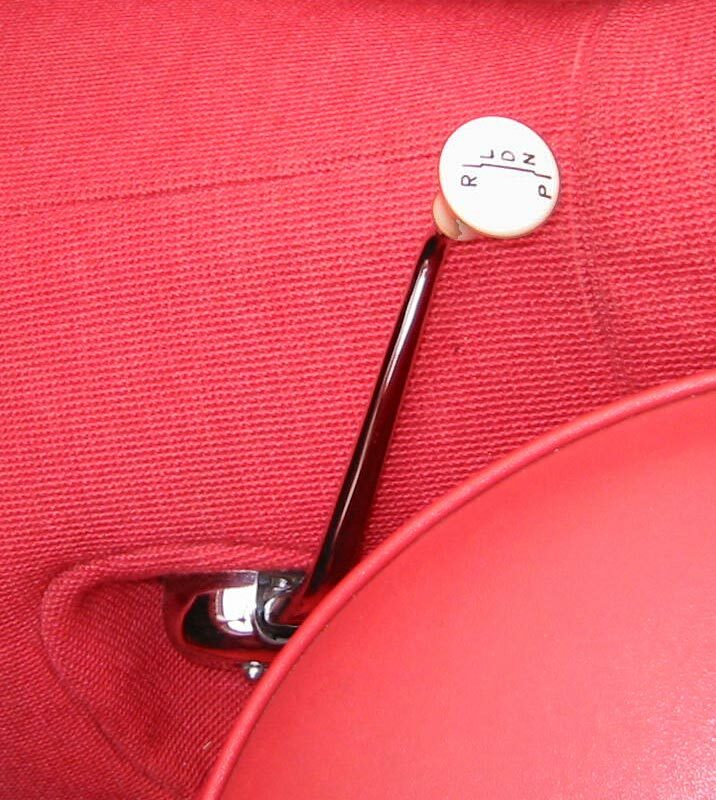 The plastic side curtains were popular on foreign sports cars at the time such as MGs. But the sports cars could boast about their four speed manual transmissions, not two speed automatics which were appropriate for boulevard cruising, not performance. The Corvette appealed to neither crowd. The asking price for a 1954 Corvette was also an issue. It cost $2,774.00 without options, more than a Cadillac which featured a V8 engine and a top that did not leak. 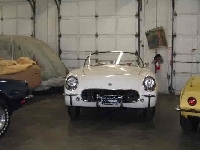 On the sports car side there was the Jaguar which also cost less than the Corvette AND featured a sophisticated, more powerful engine along with a genuine four speed transmission. 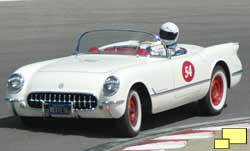 So was the Corvette a boulevard cruiser (above) or (below left) an all out sports cars destined for the race track? Consumers could not decide and stayed away in droves. Below right: the two speed automatic transmission with its funky shifter (a manual would not be available until 1955) did not help the situation. Just when you think things couldn't get worse, they did. 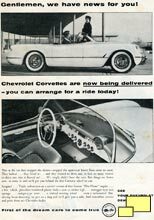 For 1954 GM had an all new just-for-Corvette assembly plant built in St. Louis (the first 15 units were built at the same Flint MI facility as the 1953 Corvettes) which was equipped to produce 10,000 Corvettes a year. 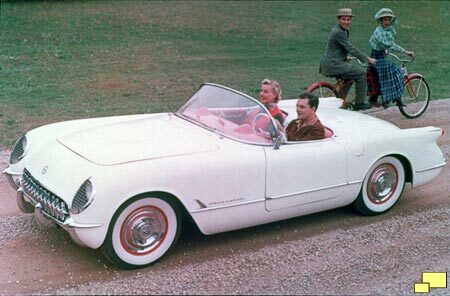 The General (Motors) cranked out 3,640 1954 Corvettes, a full one-third of which were unsold at the end of the model year. According to Corvette legend, dealers were forced to sell many for below their cost, which is something they liken to cutting off their fingers. GM had a public relations problem in 1953. 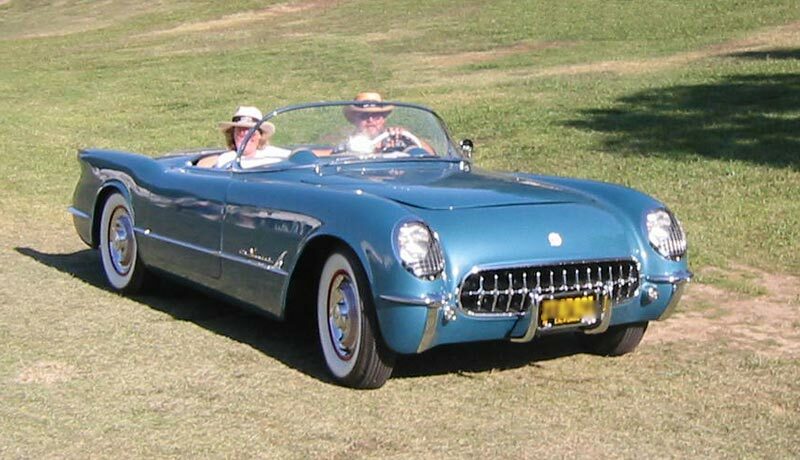 With a production quantity of only 300, buyers exceeded the number of available Corvettes; those that were built were available only to celebrities and other well connected individuals, leaving enthusiasts angry at being left out. 1954 solved the problem with increased production and an ad campaign (left) tried to appease the customer base. Chevrolet attempted to widen the appeal of the Corvette with new colors including Pennant Blue (left) and Guardsman Red although the majority were still Polo White. A few Black cars were also built. All of the soft tops were beige and the Pennant Blue offered a beige interior. The other interiors were red. In the middle of the 1954 model a more aggressive camshaft boosted the horsepower from 150 hp to 155 hp. 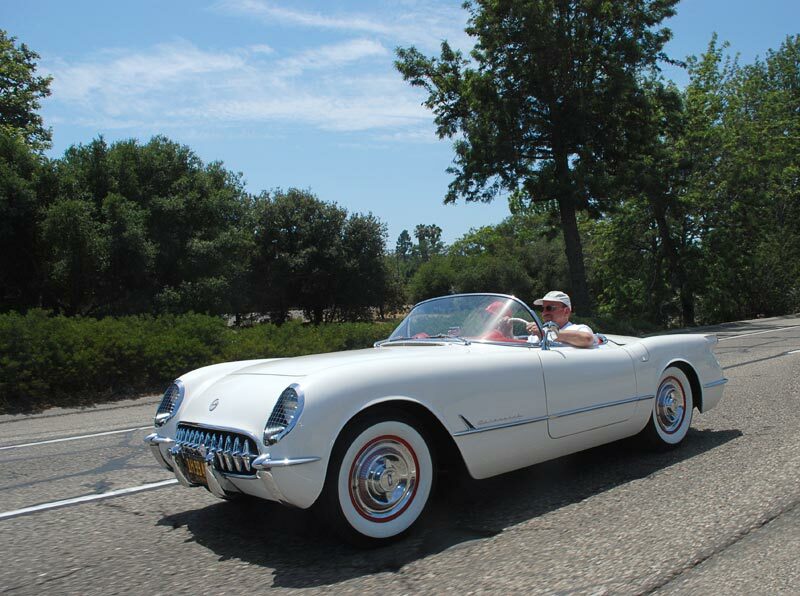 The 1954 Corvette model year might be one that all involved would like to forget, but time has healed many of the wounds and a 1954 Corvette is treated better by the marketplace today. The distinctive styling still is greeted with smiles and the various ills that afflicted the car when it was new now seem not to be a big deal. 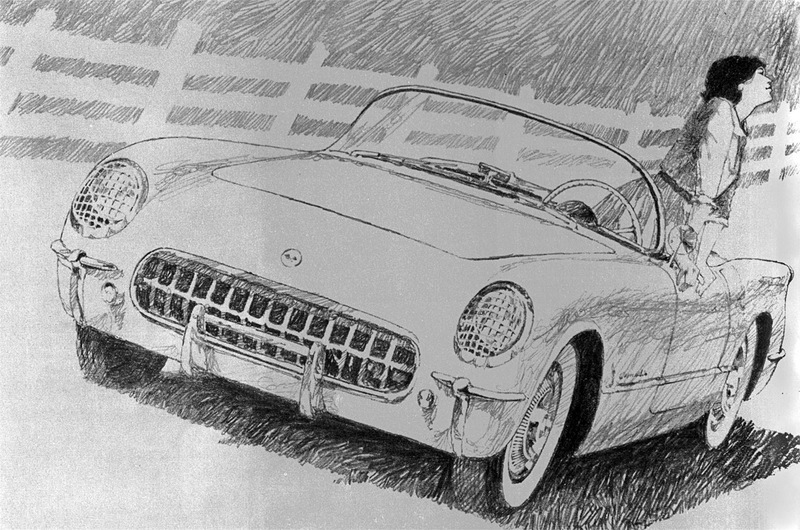 Limiting the attraction to collectors is the six cylinder engine; Corvette people like ground pounding V8s. Of the three model years with the early body style, the 1954 is the most affordable as it was the highest production volume.